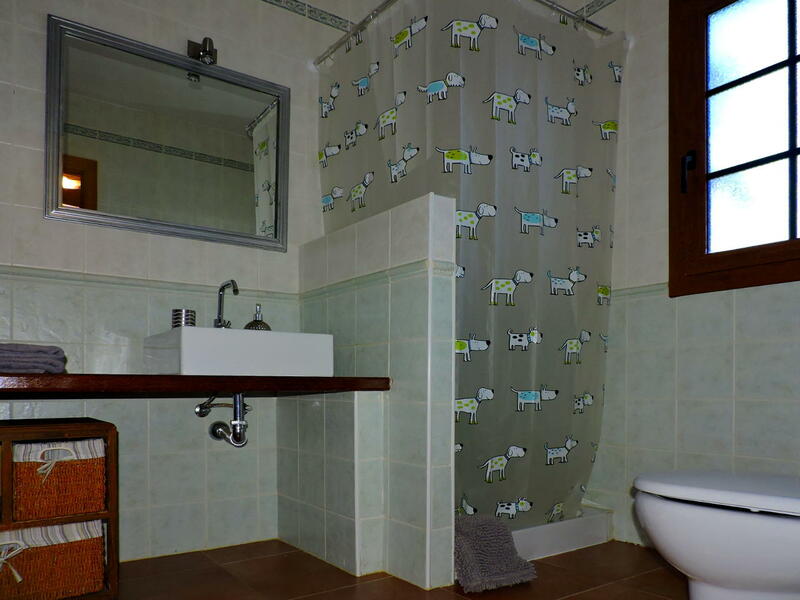 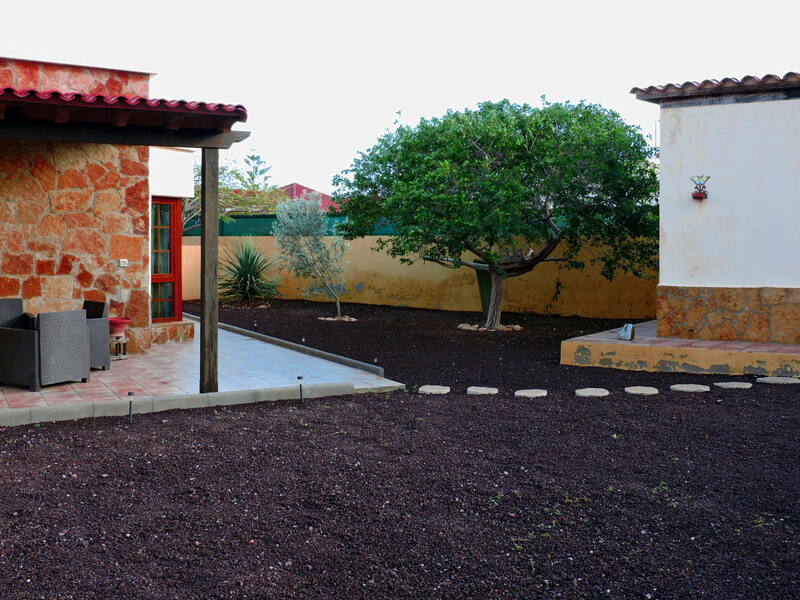 Beautiful detached house located in the peaceful village of Triquivijate, Antigua, in the Central-Eastern part of Fuerteventura and just a few minutes drive from Caleta de Fuste. 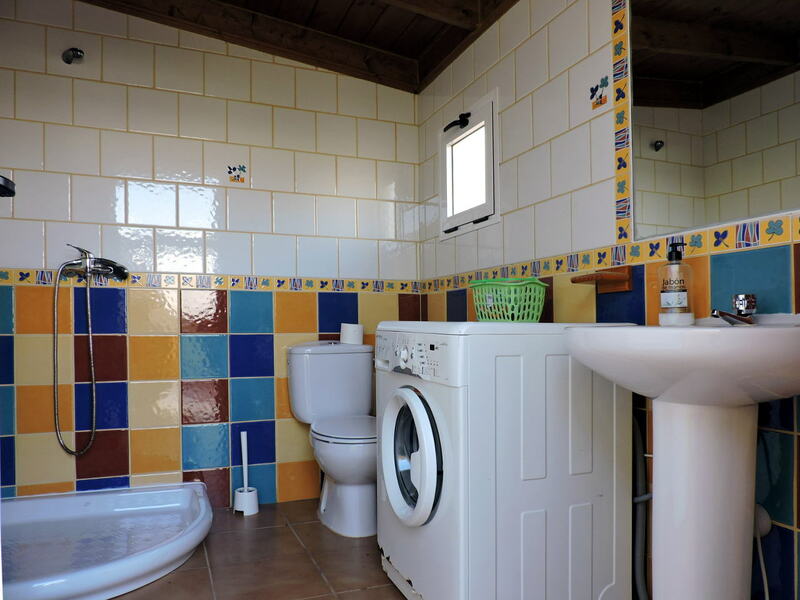 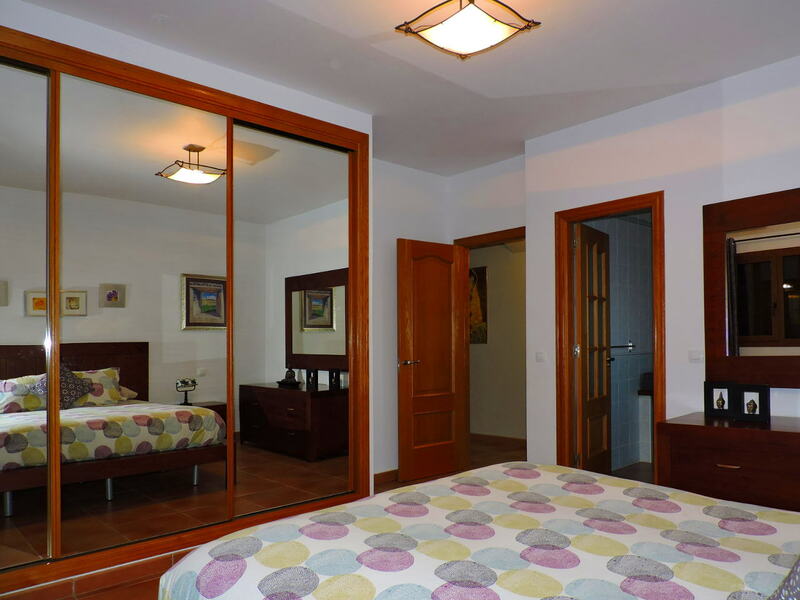 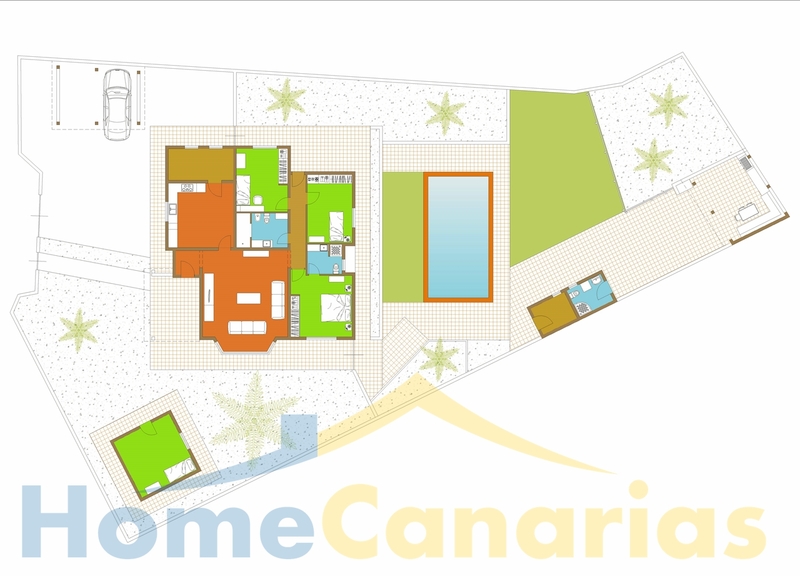 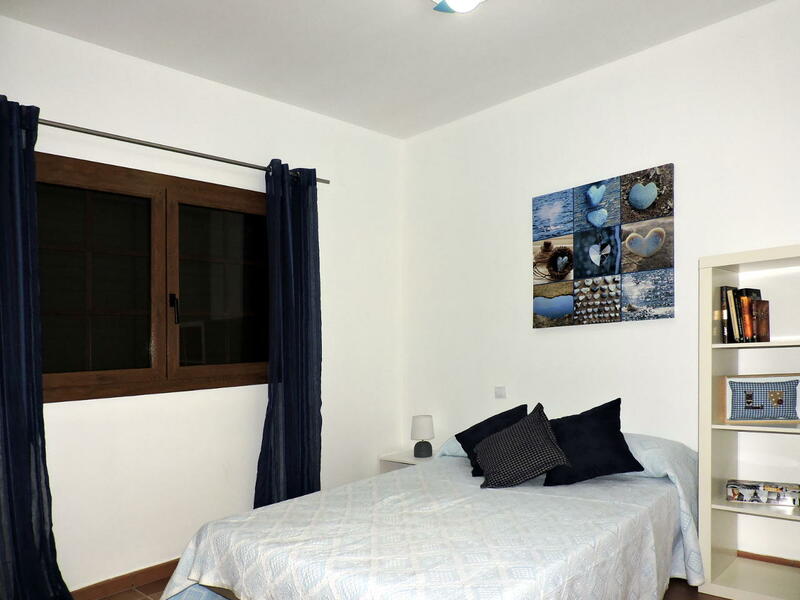 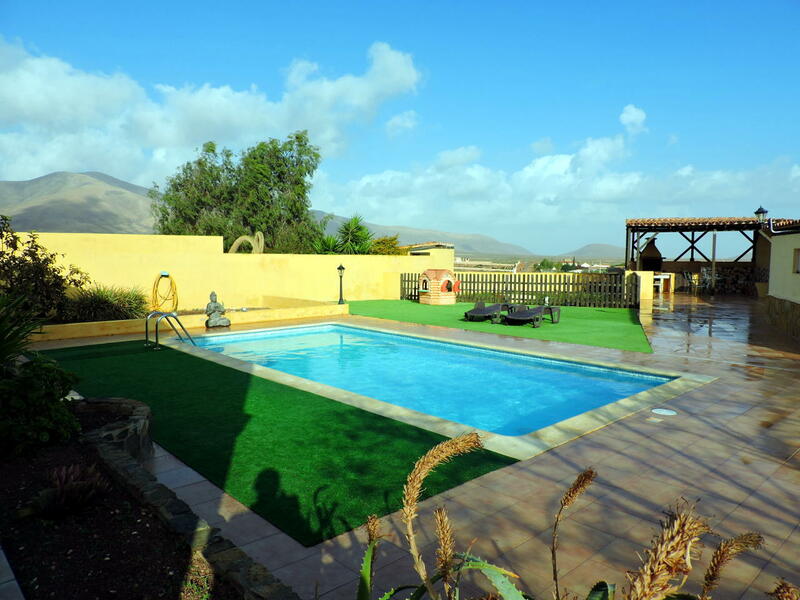 The house has a private pool as well as all the comforts to rest and discover Fuerteventura. 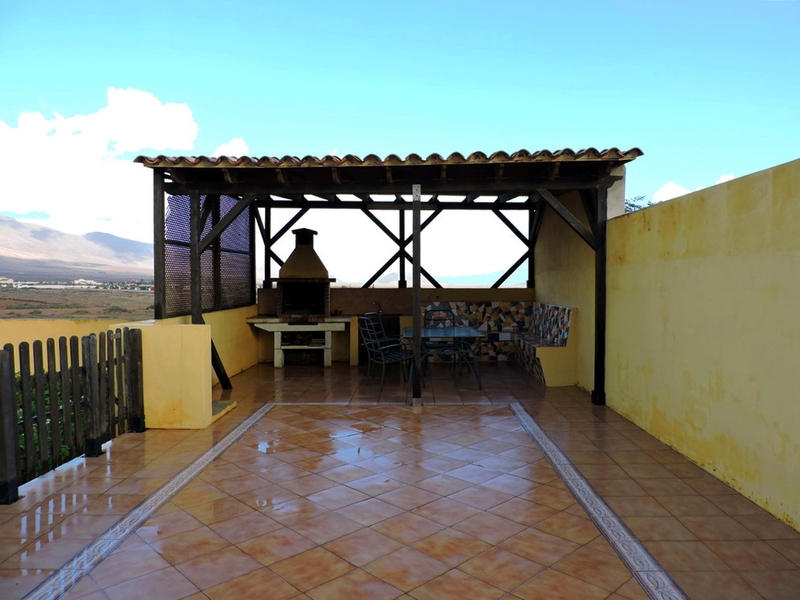 It is a villa that will make you feel at home, with its comfortable, spacious and quiet interior as well as you will enjoy astonishing views to the great plain of Fuerteventura. 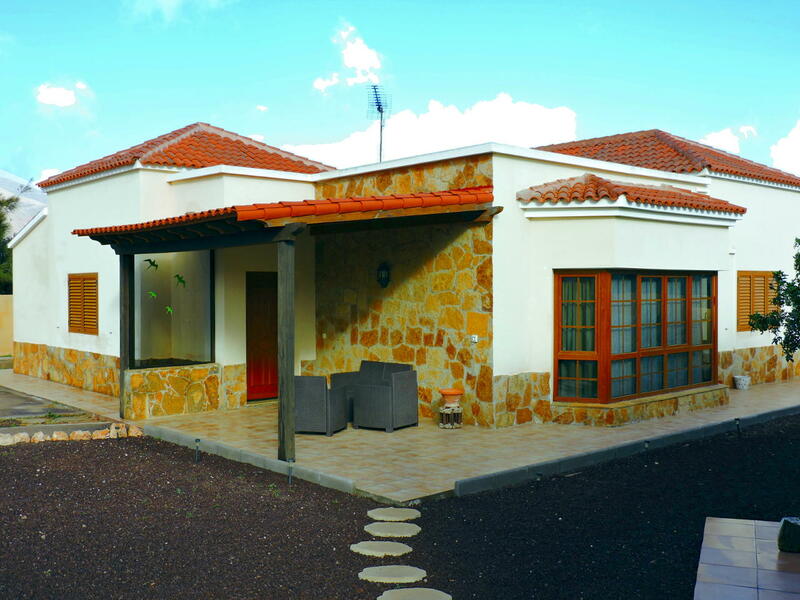 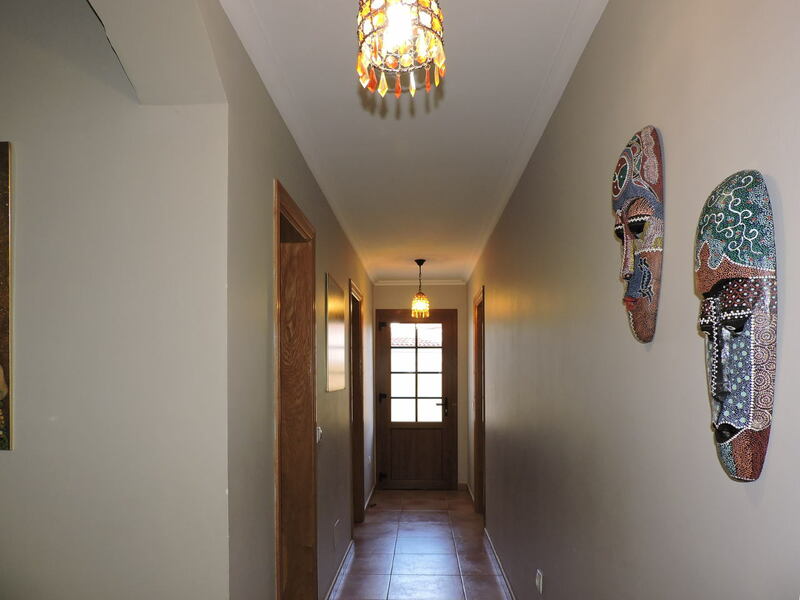 The house has 149 sqm and is distributed in living room with air conditioning, independent and fully equipped kitchen, a bedroom suite with bathroom and air conditioning, two double bedrooms, bathroom with shower. 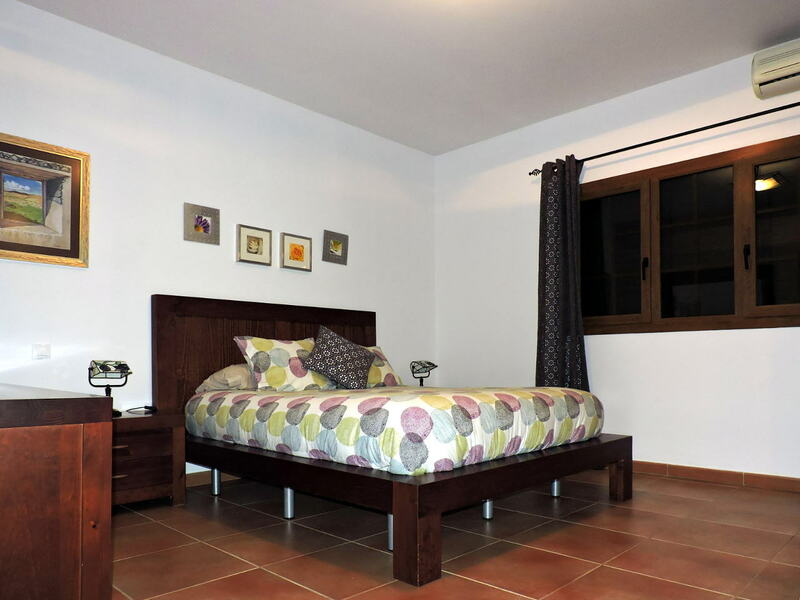 An additional doble bedroom is in the garden. 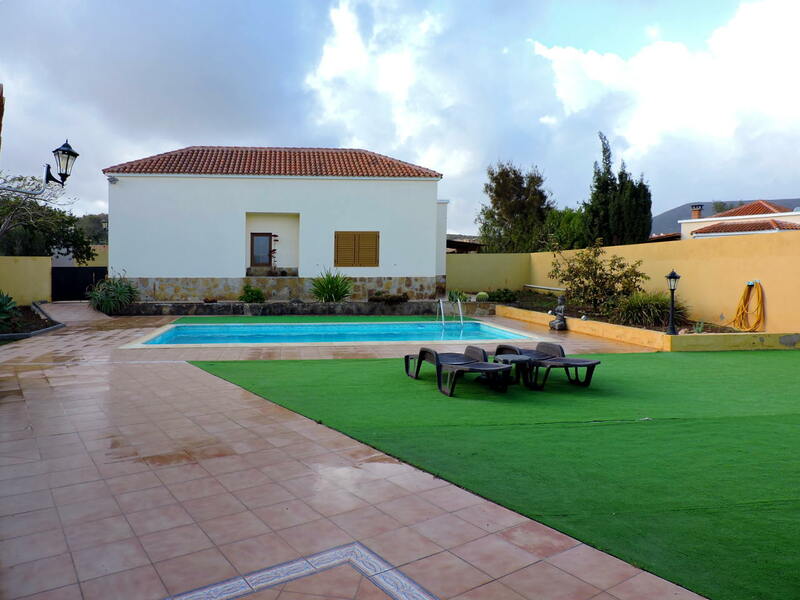 In addition, the outside area has a outdoor bathroom, garden with barbecue and dining area, terrace furniture, garage and a 8x4 private pool. 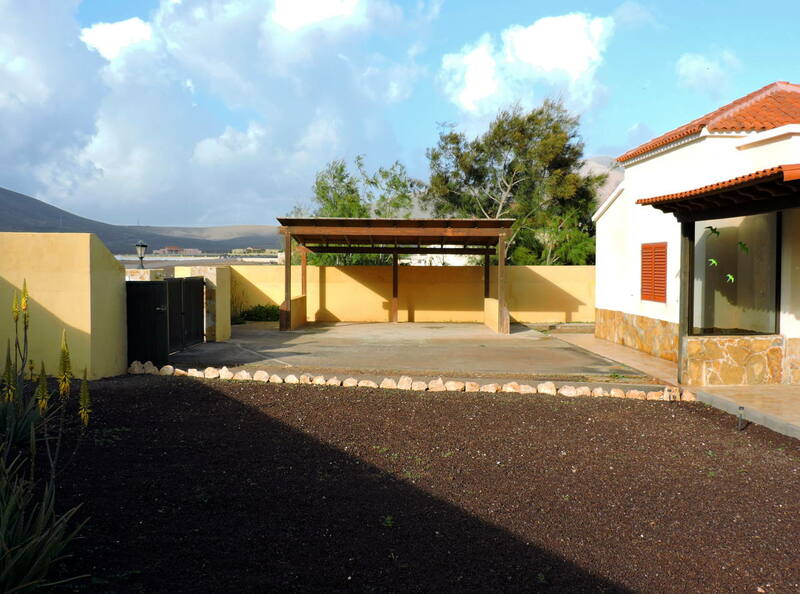 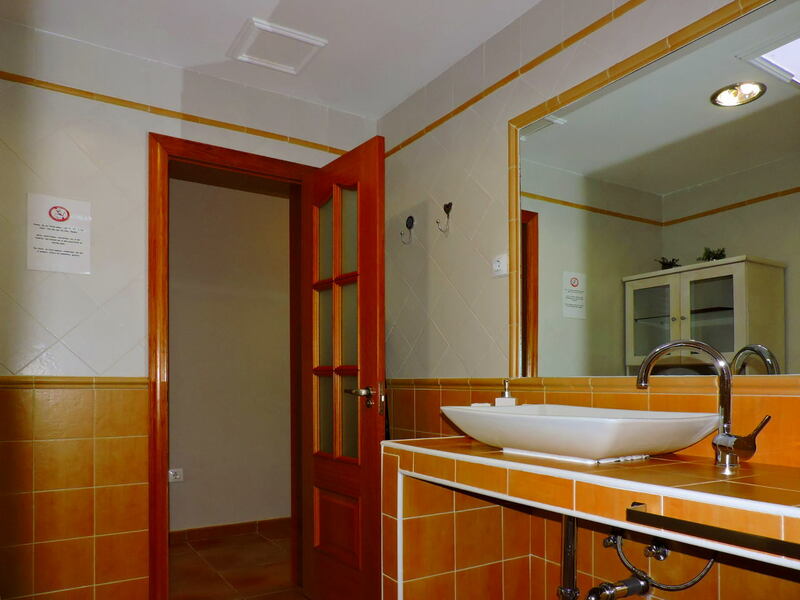 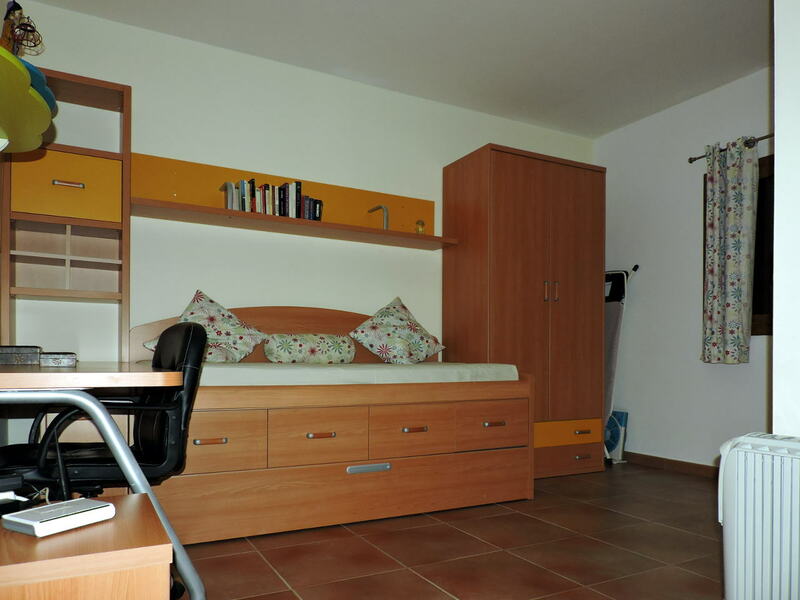 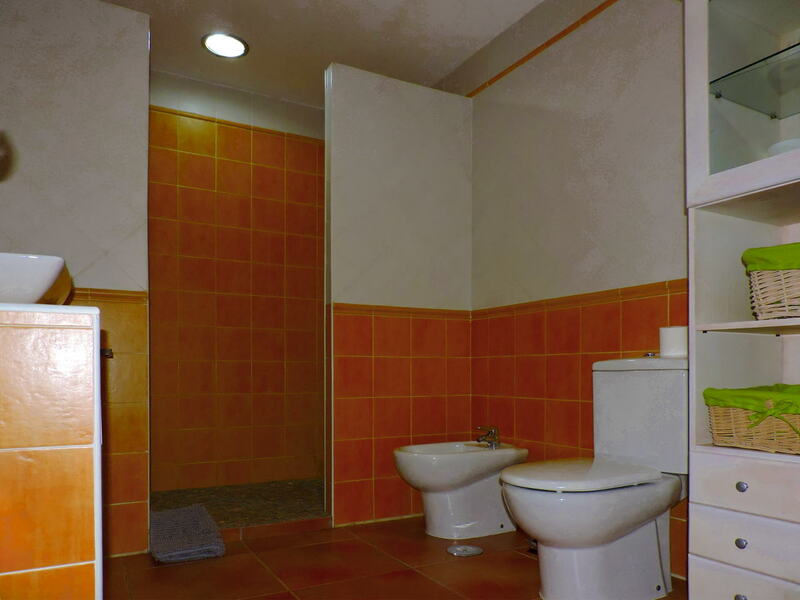 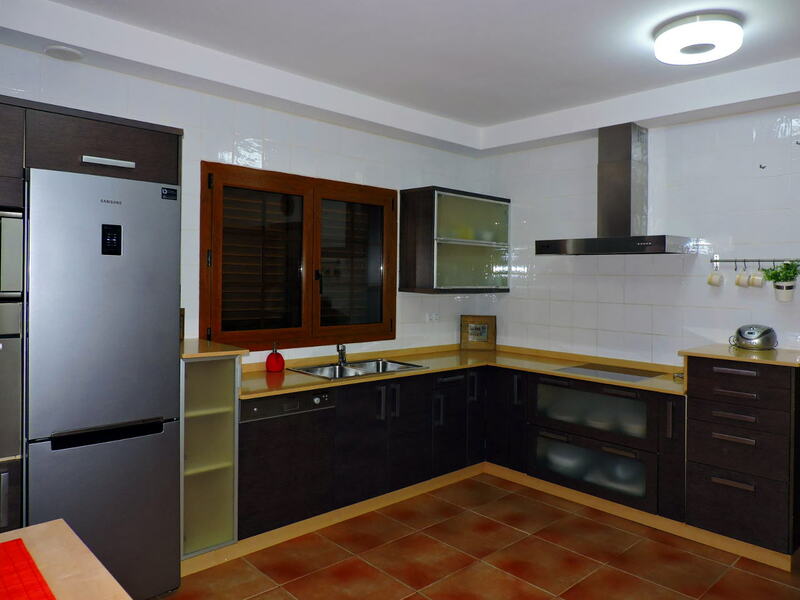 Total built surface of the property is 239 sqm. 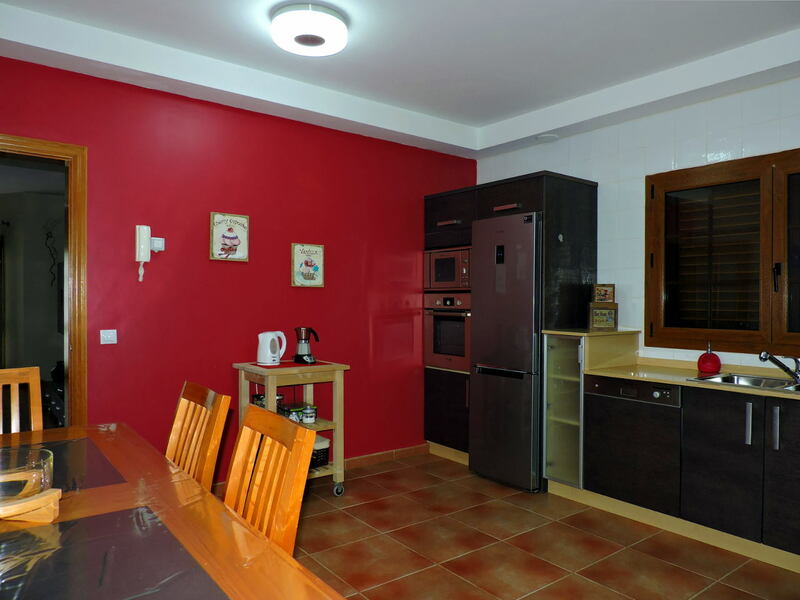 The villa is not so far from Caleta de Fuste sandy beach and only 15 kms from Puerto del Rosario and the Fuerteventura international airport. 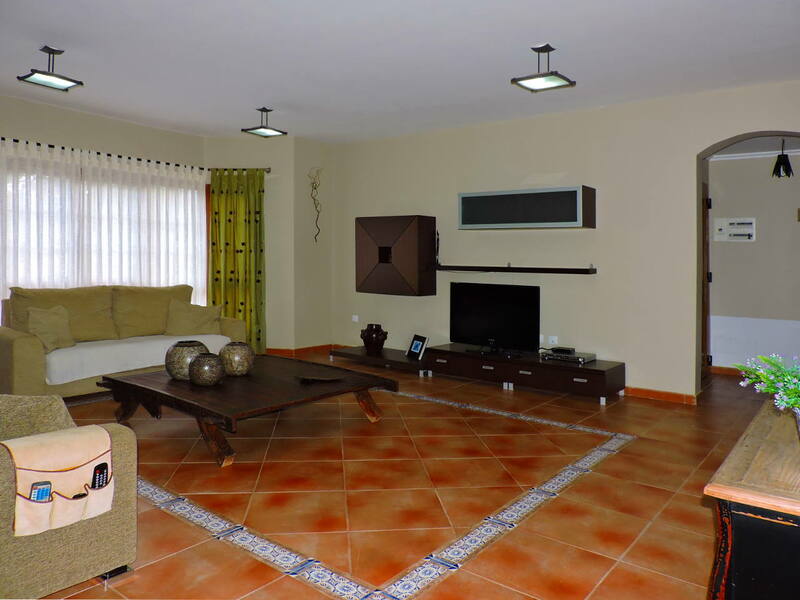 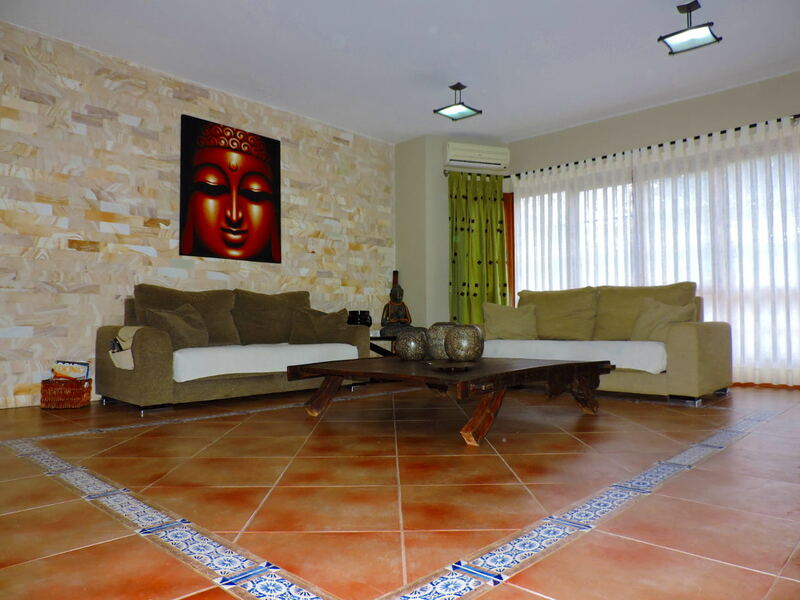 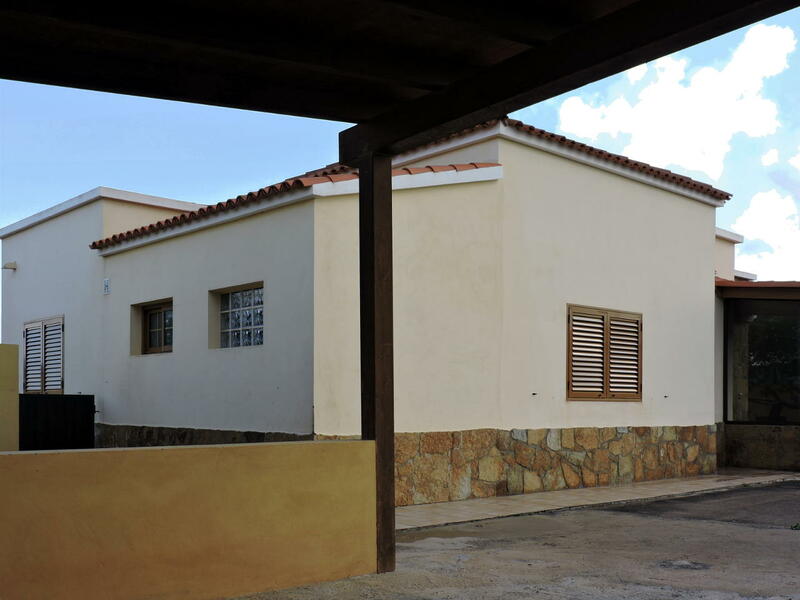 This beautiful detached house is for sale, fully furnished and equipped, in Triquivijate, municipality of Antigua.